This is definitely the best of the Strange Cases games. Better graphics, better story, more puzzles, cooler locations, and just more fun. If the developers continue to improve at this rate, their next game will be great. I choose white; either you liked it or you didn't. A lot more work was put into this than the first adventure of this series. I got tired of having to go back and forth all the time to keep the game progressing. No voice over so I turned off the music. Good graphic. The HO games were not hard. Just a good game for me. Good game. Was a long play time. All aspects of this game as far as graphics & sound were excellent. Since we seldom play a game all the way through in one sitting we can't be sure on total hours of play, but it seemed we were playing it off & on for quite a long time and it was lots of fun! 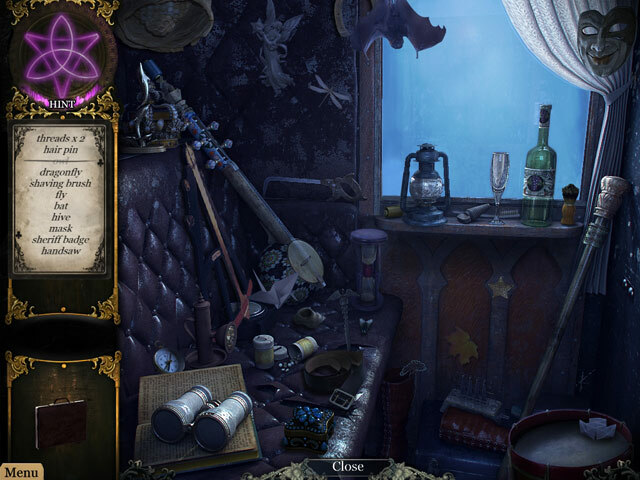 We did need to use hints more than we liked in some hidden object scenes as there were some objects that were not named with the word we would have typically called the item. We did need to use the strategy guide a couple times and it was helpful. The bonus chapter was excellent and tied in with the story line. All in all, this is a very good game and we are glad we purchased it. 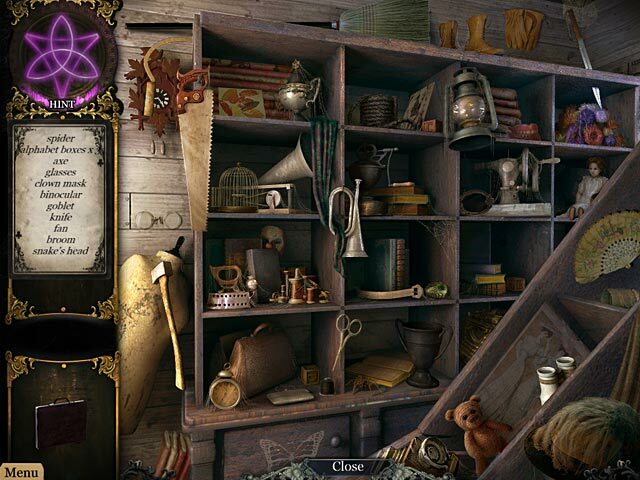 The Secrets of Grey Mist Lake is a HOG game with great graphics, chilling music and effects, a decent storyline, but an ending that seemed rushed. 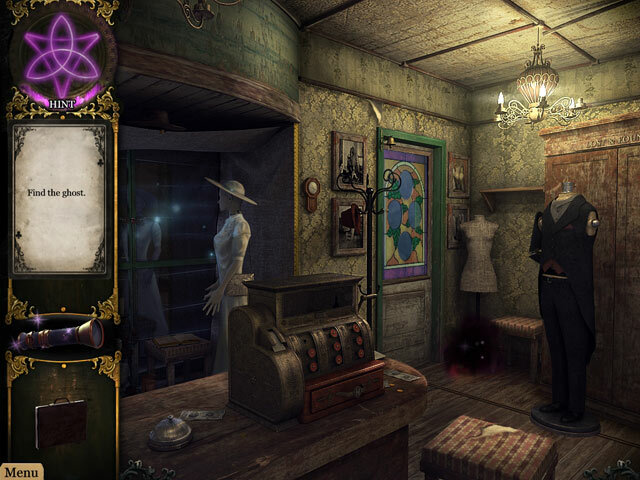 If you don't get the collector's edition, you do not find out the reasons for the problems that face the residents of Grey Mist Lake. This game feels longer than it is, which I suppose could be a good thing. The hint system is pretty much unhelpful in most cases but as the "next step" is always on the screen this isn't as annoying as it could be. Do watch for misnamed items in the HO scenes - these can make it more frustrating than fun sometimes. Overall, a decent game, with a strong story and a good spooky feel. I really like the game overall. Graphics we nice. I loved that the characters actually spoke, I think that gives a little more life to the storyline. I did find it somewhat frustrating when the game has you going back and forth through the same number of frames in order to advance in the stoyline. It was slightly erking, but not to the point where I no longer enjoyed playing the game. The music also had this weird sing/scream that kept repeating...I didn't like that.